Out of all the things you do at Disneyland, eating is a must. Well, I suppose you don't have to eat, but I would highly recommend that you do. Through this, I will hopefully be able to guide you through a few of my favorite joints there and maybe drop a few money saving tips on the way. First off, I think we should talk about health in general. Not healthy eating, but health as in you are going to be walking a lot, burning energy, and possibly sweating. Where am I going with this? Snacks! That's where! Now, I imagine that you'll be thinking that snacking at Disneyland could be pricey and I suppose that it could be if you didn't fill your backpack full of snacks. Did I mention you need a backpack. No? Well you do. And granola bars are a great energy booster and a good durable snack for a backpack. Because, let's face it, things get smashed in backpacks. No soft foods like muffins allowed in backpacks! This is probably a bit much. Don't do this. Next up, fluids. You need them. You should have a lot of fluids if you are planning on trudging for mile and miles. 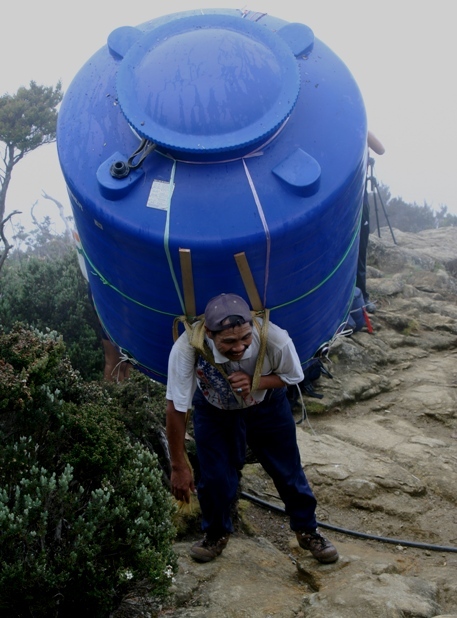 I bring water: it's wet, coolish, relatively cheap, and it works nicely with my camel pack. (Did I mention that my backpack is my camel pack? It is.) Hmm... I wonder if I can fill my camel pack with whiskey and get cups of ice at the park...? I'll get back to you on that one. Okay, food! Food is yummy, usually, so where do I start? How's about the top then we cheap out? Okay? Good. 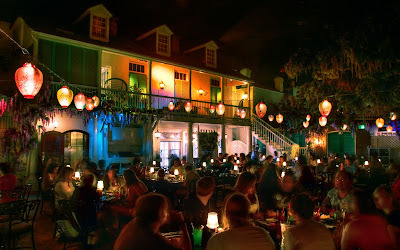 I like eating at the Blue Bayou. Great restaurant (I'm 34 and I JUST learned how to spell "restaurant," my autocorrect usually makes me eat at restraints) near the top of what I am willing to pay. Most importantly it has a great atmosphere. Character meals are fun as hell, too. Nothing beats giving Goofy a gooey pancake and syrup hug and then watching kids stick to him. But, I'm just gonna buzz those, skip quick serves and I am going to go straight for the wallet. No this is not a robbery. I'm helping you save, so sit down, but keep your hands in the air. Oh, and no sudden movements. The best way I have found to save money is this: hope your hotel has a fridge. Why? Cause bread, ham, and cheese makes a descent lunch that you can pack into the park. Do they let you do that? Yes, yes they do. As long as it's not in a cooler or something. Cue the backpack. As a family we often pack lunch and then eat dinner in the park. 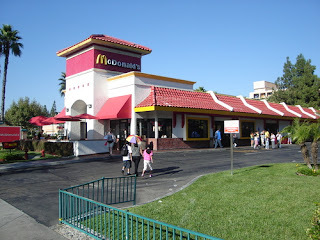 Also, another trick I enjoy is to slip across to McDonald's. It's simply out the front gate, across the street to the east, and a little bit to the north. I think I saw a Hooters just past it, too, if you want cheap wings and well breasted girls. Hey, I ain't here to judge. The main thing is to fuel yourself for the day, but don't take out a loan on your first born to do it.